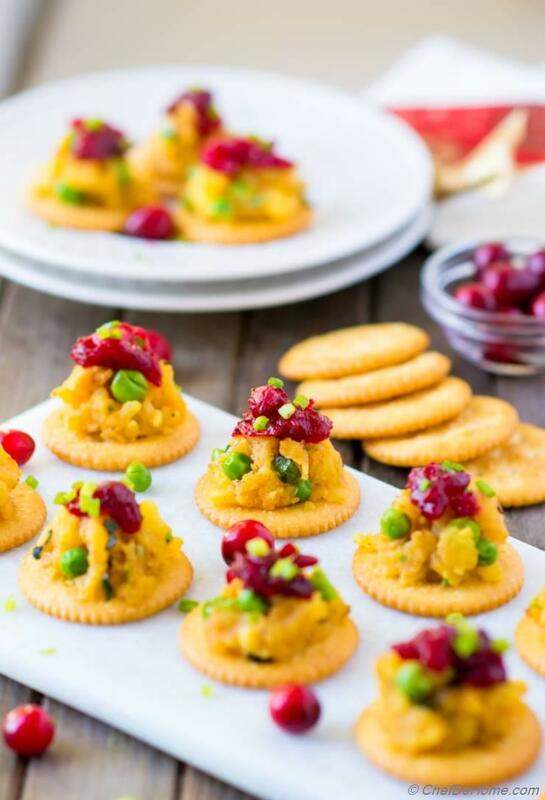 Holiday Entertaining with easy to assemble samosa bites made with flavorful spiced potatoes and peas samosa filling, cranberry chutney, and sweet 'n salty RITZ Crackers. 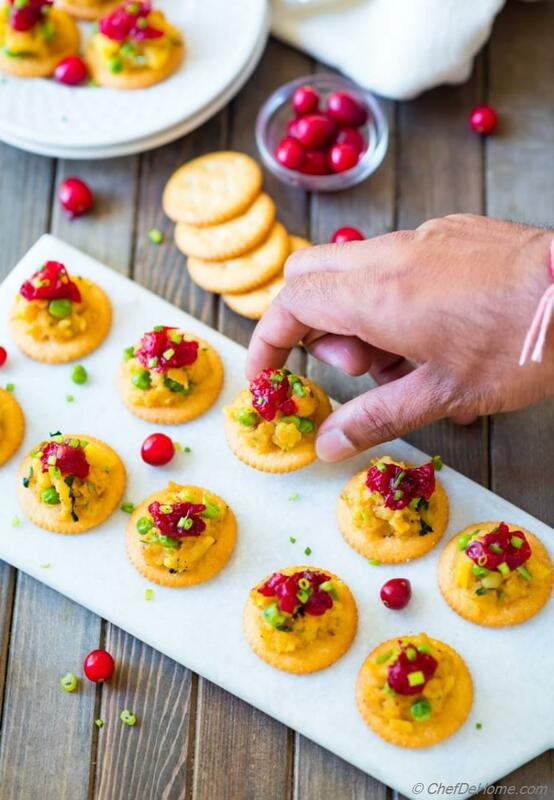 These samosa bites not only look festive, but are also bursting with flavor. Where gorgeous presentation will bring everyone to platter… the combination of sweet, salty and spices will be perfect to wow guests this holiday season. For all of you who are new to samosa, samosa is a fried pastry filled with various kind of savoury fillings such as potatoes, minced meat, lentils. It is often served with some sweet-sour sauce on the side such as mint chutney or tamarind chutney. Diwali or Christmas or a birthday-bash, this delicious pastry is always served in Indian parties! 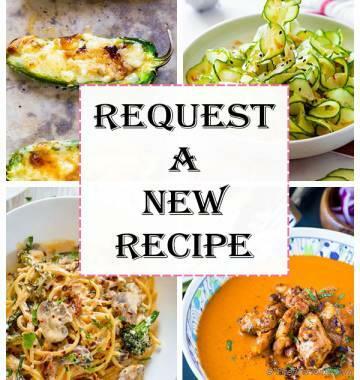 Today, I present to you an updated version of classic which needs only 10 minutes of prep and no frying or baking! There are 3 important ingredients which make samosa delicious. A crispy flaky pastry crust defines samosa. This is what makes this comfort food favorite of everyone in Indian parties. Today, I replaced that crust with easy, ready-to-use, and crispy RITZ Crackers. The crispy RITZ Crackers replaced buttery crust of samosa so well that you won't miss it for a second! Plus assembly is so quick with no frying/baking required. In short, RITZ Crackers has made serving samosas in party - a-piece-of-cake! Noted recipe makes 30-40 bites of samosa. If I were to fold 30 mini samosas, it will need at least 20 minute prep and 15-20 minutes of frying. 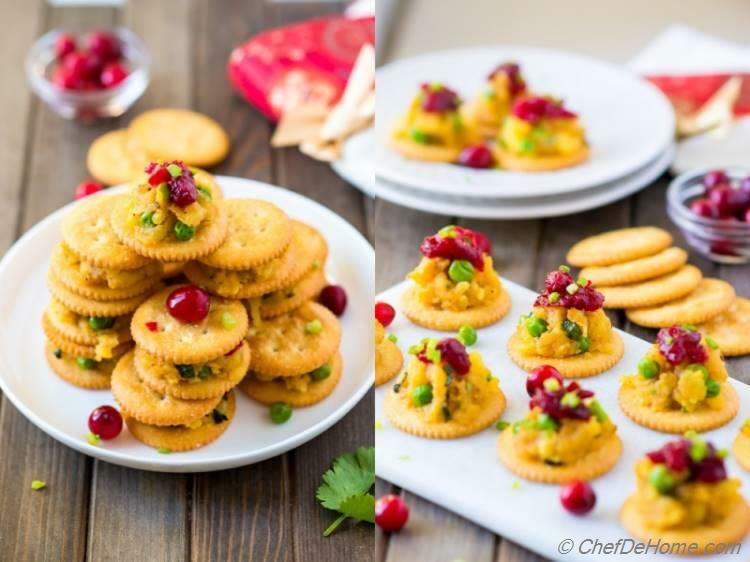 In short, these mini samosa bites with crackers are dream-bites for a samosa lover without need to work much. 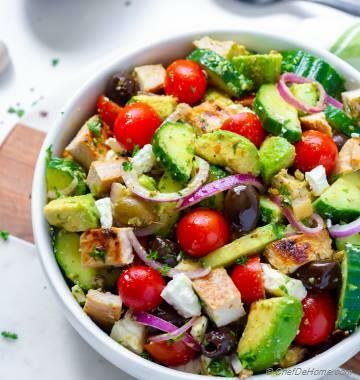 And a delicious appetizer to impress guests! While shopping at Walmart, I saw this amazing display of RITZ Crackers near Crackers and Snack aisle. 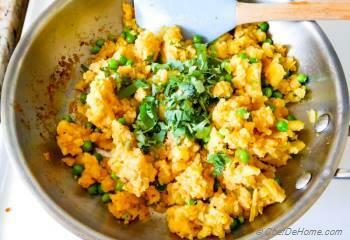 I decided to pick two party-size packs of RITZ Crackers, and some potatoes, frozen peas, and spices for this scrumptious twist on Indian samosas. RITZ Crackers are lite, crispy with perfect balance of sweet and salty. I love enjoying a few just as-is with evening tea. 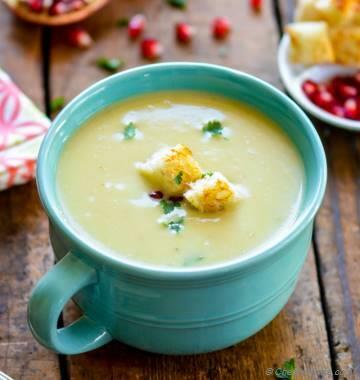 But, they also make great canvas for bite-size appetizers for holiday entertaining. 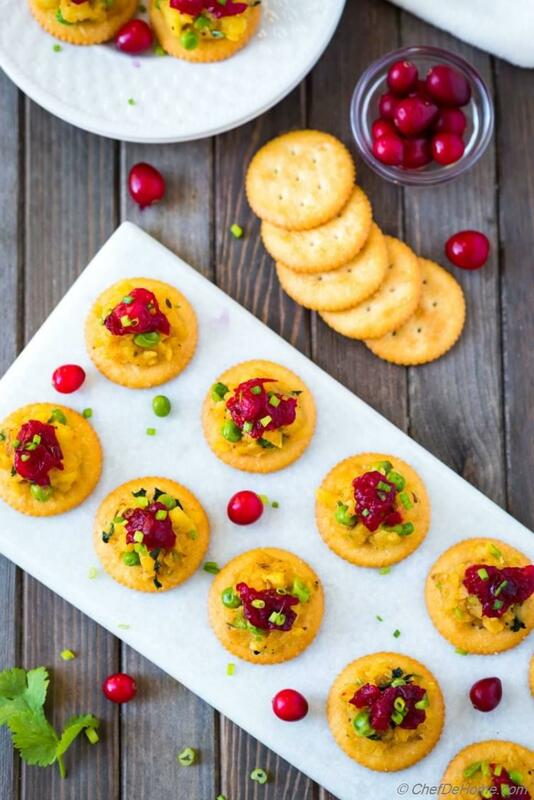 With these crackers, there are endless ways to serve bite-size snacks. 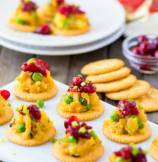 To share idea for serving, I decided to showcase samosa bites platter two ways; First- open face, on a platter, with cracker at bottom, topped with samosa filling, followed by cranberries chutney. 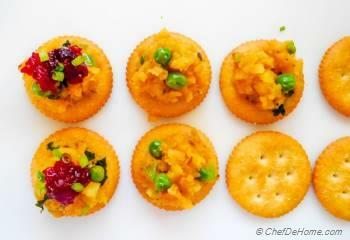 Second - with samosa filling and cranberries sandwiched between two crackers, arranged in a platter like Christmas tree. I decided to leave the top cracker open face to showcase the scrumptious filling. Isn't it looking gorgeous?! Full of holiday spirit!! Once you have boiled potatoes, filling comes together in few minutes. 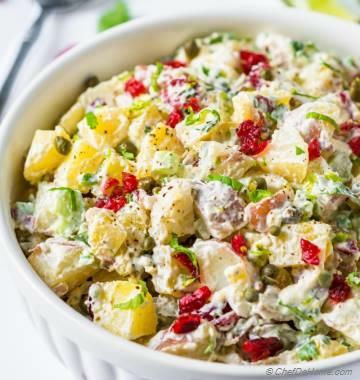 Usual potatoes fillings can be one note of boring…. So I like to add some green peas in filling for some color contrast and spices for ton of flavor. Other than these there - ginger, chili, lemon juice and sugar. For festivity and presentation, I decided to add some element of sweetness on samosas with quick cranberry chutney. The tartness of cranberries compliments the richness of potatoes just like tamarind chutney which is traditionally served with samosas. 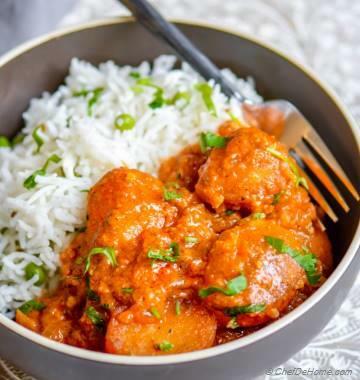 Total Time 25 minutes Prep Time 10 minutes Cook Time 15 minutes Difficulty Easy Yields 30-40 Samosa Bites Serves 12 Notes If using pre-boiled potatoes, it needs only 5 minutes of cooking. Smart Swap For variation, add more veggies - such as carrots, scallion, and green beans! 1. Ready Ingredients. Boil, peel and mash potatoes. I like to grate them using regular grated for texture. If using fresh peas, blanch them to cook until just tender. Also, chop chilies, cilantro, and ginger. 2. Heat oil in a saute pan. Add ginger, green chili, cumin seeds and saute for 30 seconds. 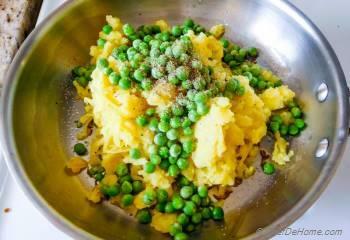 Add all the spices, sugar, 1/2 tsp salt with mashed potatoes and peas. Saute potatoes with spices for 2 minutes on medium heat. 3. Switch off heat. 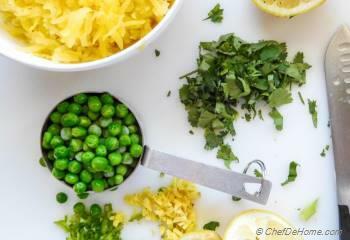 Add lemon juice, chopped cilantro. Mix well. Taste and adjust salt/lemon juice if needed. Remove in a bowl to cool down. Set aside. 4. 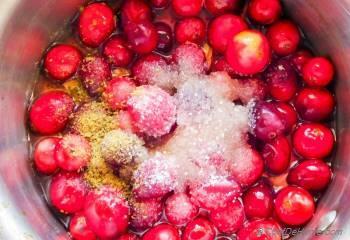 For Cranberry Chutney, put all ingredients for relish in small sauce pan. cook on medium heat with 1/2 cup water for 10 minutes or until berries pop open. Discard ginger and set aside. 5. 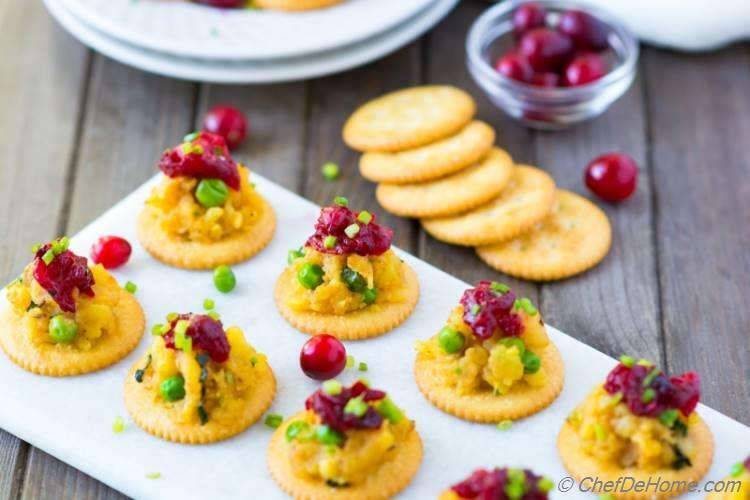 To assemble samosa bites, start with cracker, top with one teaspoon samosa filling, top with 1/4 tsp of cranberry chutney. Repeat with remaining crackers. Filling is good to make 35-40 samosa bites.